Some big news was released by Lincoln Stars GM Jon Hull last night as he tweeted that the team had acquired Lincoln, NE native Ethan Price. Price ('97) is a forward who played this season and last for the Portland Winterhawks of the Western Hockey League (WHL). Click here to view his stats. Price tips the scales at 5'10, 183 pounds. In 104 games for the Portland Winterhawks the past 1.5 seasons, Price accumulated 17 points (8g, 9a) and 46 penalty minutes. In Portland, Price was a young, third-line player on a team loaded with NHL draft picks. So his offensive numbers may have suffered because of the limited ice time with the Winterhawks. For those unaware, the WHL is considered major junior hockey, and the players are ineligible to play college hockey in the USA. So that means if he stays in Lincoln, there's the possibility he could play 3.5 seasons for the Stars before his junior hockey eligibility ends. The only time I have seen Ethan play live was at the 2012 Lincoln Stars tryout camp in Minneapolis, MN. Price was one of the youngest players at that particular camp, and looked pretty good considering. I've been told that Price is a two-way winger who loves to play physical. I'll post a video of him in action at the end of this article. I think #StarsNation is going to love watching this kid fly all over the ice at the IceBox, a rink he basically grew up in. Although he wasn't a top six forward in Portland, he was a very popular player among Winterhawks fans based on the fan reactions I read on Twitter and Facebook last night. 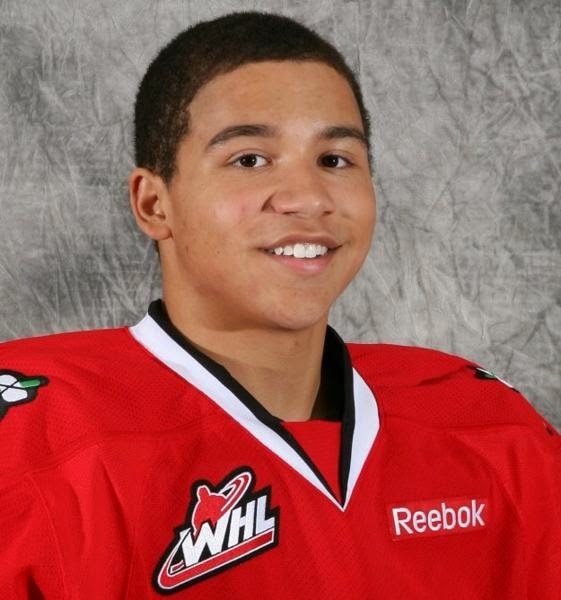 Before Ethan committed to play for Portland in 2013, he played for the Omaha AAA U16 program that current Stars affiliate forward Ethen Frank currently plays for. Price was selected by the Youngstown Phantoms in the 2013 USHL Futures Draft, but chose to take his talents to Portland of the WHL instead. I mentioned above that Ethan is a Lincoln, NE native. He was born here and raised here. He may end up being the first Lincoln, NE native to ever wear a Stars uniform, but he is not the first Lincoln born player to suit up for the Stars. That distinction goes to former Stars forward Will Suter, who was born in Lincoln, NE but raised in Omaha. Will told me last night on Twitter that he considers himself an Omaha native every day other than those days that the Stars are playing the Lancers. Atta boy, Will. Ethan's grandfather Tom Price is a guy who is well known in Lincoln ice hockey circles. He used to be a Lincoln Ice Hockey Association (LIHA) board member and was responsible for introducing Ethan to the sport of hockey. I used to chat occasionally with Tom at the IceBox since we had seats in adjoining sections. If I recall correctly, Tom and his family had glass seats in section K, very close to section J (my section). In fact, I remember a very, very young Ethan Price playing with his friends on the landing between sections J and K. Now he'll be playing for the Stars. Pretty cool. I suppose the big question to be asked is, how long will Ethan stay with the Lincoln Stars? I read some tweets last night after this story broke that indicate he could go back to Portland after this season. Is this only a temporary move for Price? I guess we'll have to wait and find out. I'll include more reading material about Ethan below for those who are interested. Welcome to #StarsNation, Ethan! Very happy to have you on board. Hopefully we'll see him in action this weekend at the IceBox. Best of luck Ethan! i hope you take some great memories of Portland with you.